June is slipping past us and a sign that the weather is different is in the peonies. Our wedding anniversary is on Tuesday, June 21 and peonies were the flower of the day. 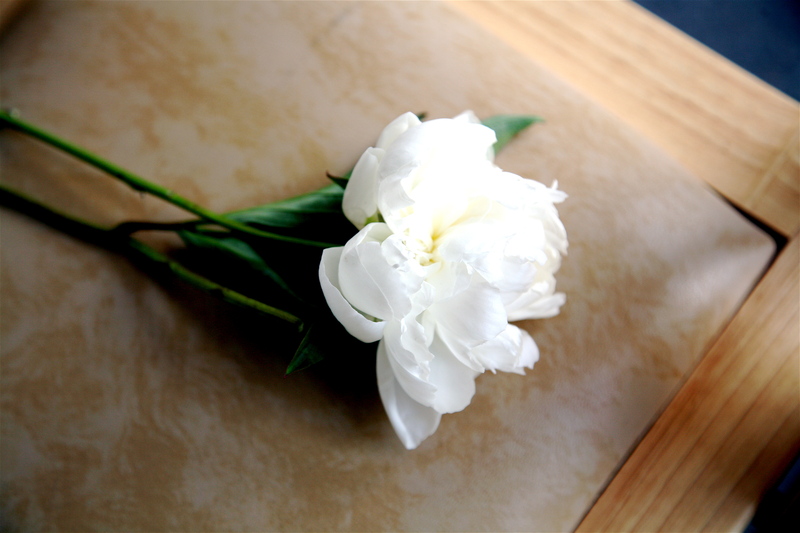 At our wedding in 2008 I was able to cut one to bring with me, placing it on a chair as a symbol of those who were no longer with us. White peonies are my favourite. Big white flowers with their enveloping scent. A sign summer has arrived. We have three beautiful peony plants in our yard, and they are tall with big flower buds, but no sign of blooming, maybe by Tuesday? We’ll see. The sun is peeking out from the clouds and the rain has stopped (sort of) today, crossing fingers we’ll dry up a bit. June is also the month for Fathers Day. Wishing the fathers out there a wonderful day. 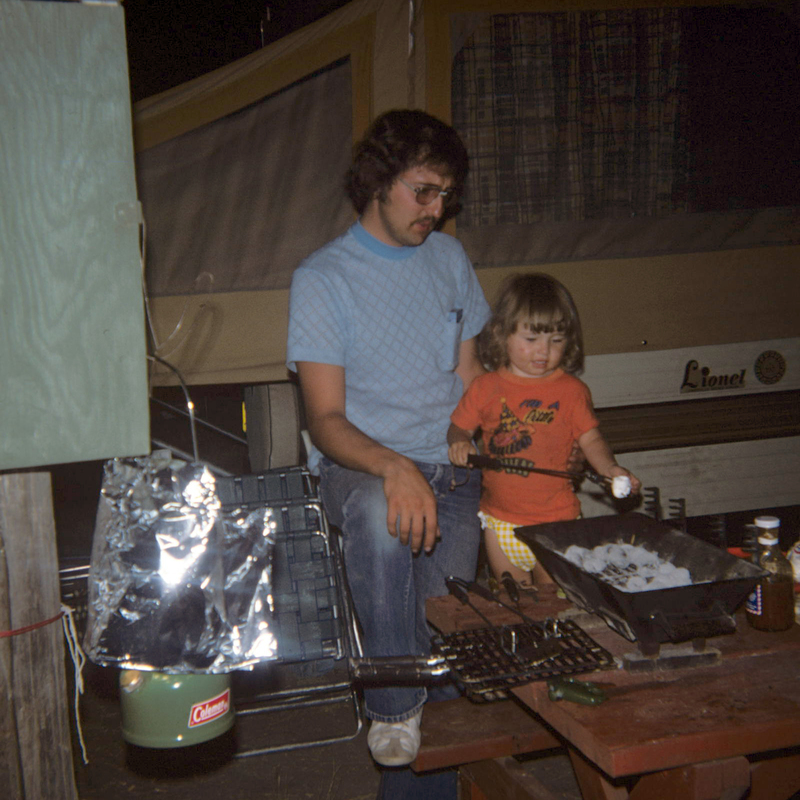 Here’s one of my dad and I from the archives…food related of course. 🙂 Love you dad. How’s the miracle lettuce you ask? Well it is a miracle. 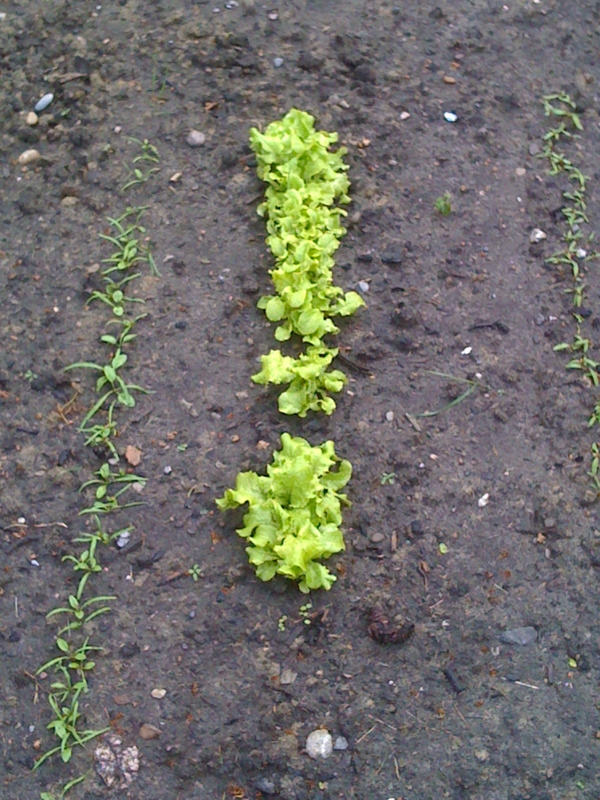 Growing and should be ready to eat in a few weeks (you can see the little spinach sprouts on the left and more lettuce on the right in the picture below). Can you believe it? I am going to leave the plants in this fall and see if we can have an early harvest again next year. Must have been all that snow that insulated it, it’s good for something! Nothing says spring like asparagus. In Alberta we are seeing local crops at the farmers market. Asparagus is a flowering perennial that is picked before it flowers. Only in the spring is asparagus in season and lucky for us in Alberta we see asparagus from April through July because of all the ‘springs’ we can take advantage of! 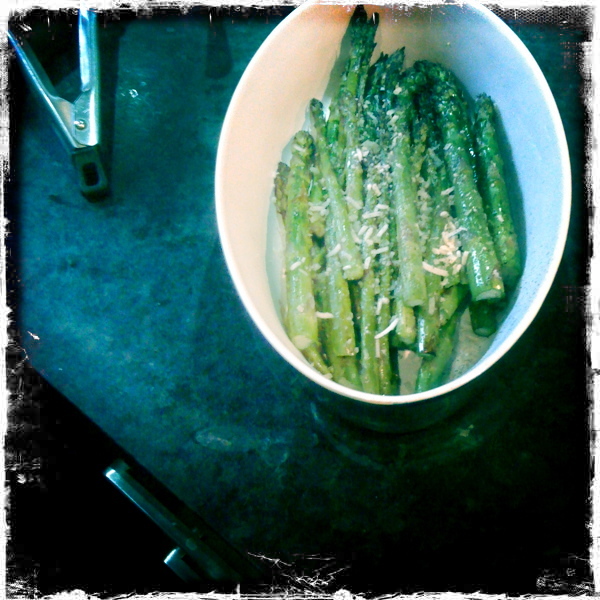 I picked up some local asparagus at the Kingsland Farmers Market on Friday and roasted it last night. It is so nice to grill asparagus, but it was pouring rain outside. If you are in Calgary enjoy the local harvest, it is good for you. Asparagus is full of vitamins and minerals. June 21 marks the first day of Summer, the Summer Solstice. Wishing you a lovely and bountiful season.